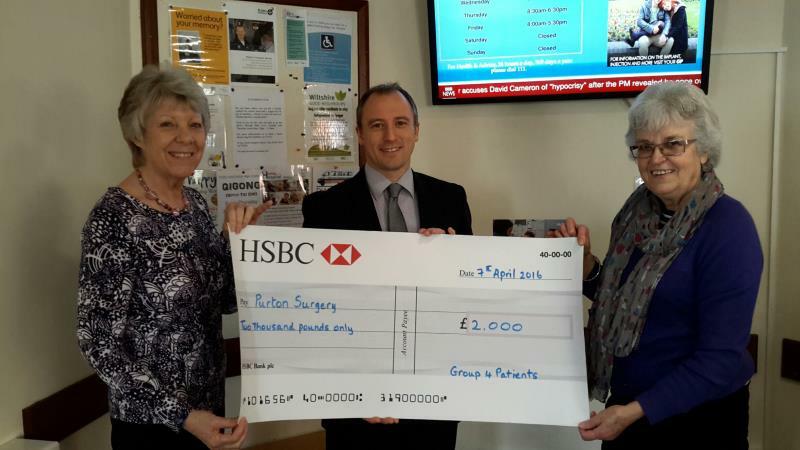 Purton Surgery developed a Patient Participation Group last year in order to promote communication between patients and the Surgery. This group works with the practice to offer the patients perspective on the services that are provided. They also encourage patients to take more responsibility for their health and provide practical support. 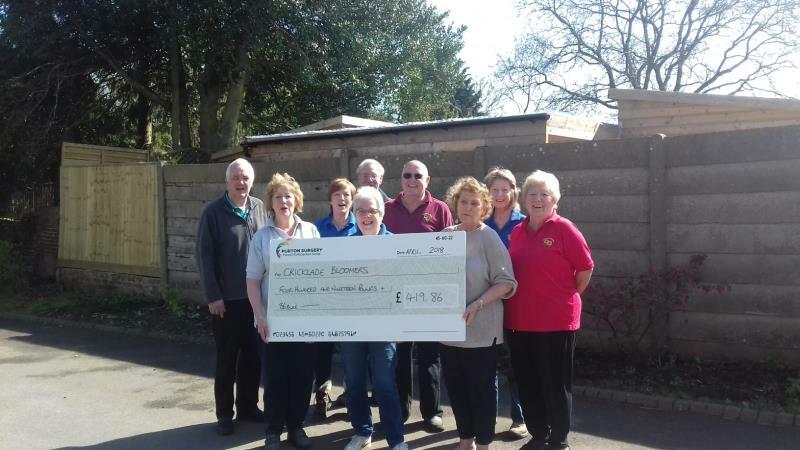 Purton Patient Participation Group or "G4P" (group for patients as the group have named themselves) has developed a newsletter which is available via the G4P Newsletter tab. If anyone wishes to leave messages or information for the group you can do so by click on the Contact us tab, emailling groupforpatients@gmail.com or by dropping/posting the information to Kai at Purton Surgery. Patients will have a better understanding and knowledge of the pratice and the staff. Who is responsible for what and who actually works behind the scenes. Patients will benefit from improved communications with staff - possible implementation of practice newsletter in the future. Patients will have a forum to suggest positive ideas and voice concerns. Patients will be more responsible for their own health. Services for the Surgery will be planned jointly in order to increase their effectiveness. Targets and objectives will be met jointly with the patients help. Patients will have an organisation through which they can identify their own needs. Patient will be able to get an idea of what is needed to improve healthcare, and make sure that the patient view is always represented. Thanks are due to our speaker Nicola Deveaux, Team Lead in Acute Sepsis and Kidney Injury at Great Western Hospital, for a very interesting an informative talk which was appreciated by those who attended. This was a very popular evening. We served 86 portions of Fish & Chips and raised £461 towards a Doppler Machine for the Practice. Thanks are due to Trish Baker for setting the quiz and to Peter Berry for organising the fish & chips. Kai Howard, Practice Manager, has managed to get a Doppler for less than the £3000 originally quoted and we are pleased to say that we now have sufficient funds to purchase it. 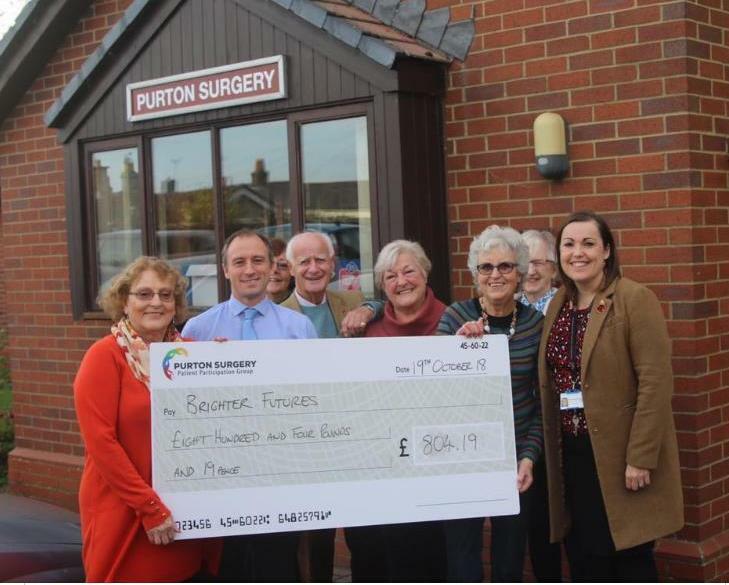 Thank you to all who support our Table top sales in Purton surgery waiting room – over £500 has been raised since starting this earlier this year. Our next fundraising is for an automated-opening door for Purton surgery. This will help those with pushchairs and children and also those with disabilities and wheelchairs. The cost is anticipated to be around £6000. We plan to take part in Purton Open Gardens weekend and have a table with plants for sale at the entrance to Purton Surgery car park. Your IP address ( 34.230.84.215 ) will be sent with your communication. In rare cases where abuse or criminal activity can be shown to have taken place this may be used by the authorities to trace you.